OK, here’s my first point of confusion. Whenever I fly a US airline on a flight with only two pilots (meaning no relief pilots), they’re always blocked off by the drink cart. I’ve never seen them go into the cabin to deal with passengers unless there’s a total emergency, and an FA’s jumpseat being uncomfortable doesn’t seem to fit in that category. the flight attendant complained that the “jump seat” she was assigned was uncomfortable, the lawsuit said. As an FA you’d kinda know how comfortable the jumpseat is, no? I can picture certain pilots saying a lot of really dumb things. This simply isn’t one of them, and if this really were a command by the captain it’s not one I would have followed. Ah, now I can see the $2 million figure coming into play. I can imagine that the passenger suffered at least $1 million worth of emotional distress as a result of his fear of turbulence. Hmm, wonder if this is the same type of passenger that takes off his seatbelt before getting to the gate, uses the restroom when the seatbelt sign is on, etc. OK, I’m totally confused here. I won’t ramble on more, but I’d love to hear what really happened. There’s obviously a pretty big piece of the puzzle missing here, and I’d certainly like to hear what it is. The $2m figure sounds like total hogwash, but that’s not surprising at all. The Chaser’s War on Everything… very funny! Seems like a load of hooey. The airline would get fined over such an infraction, quite heavily I imagine. 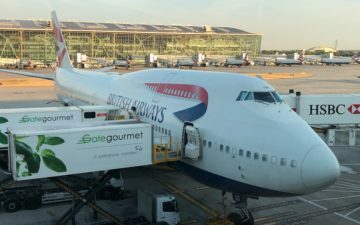 It was likely something much less sinister, perhaps they hit very hard turbulence and the pilot told the pax and FAs to take their seats immediately. 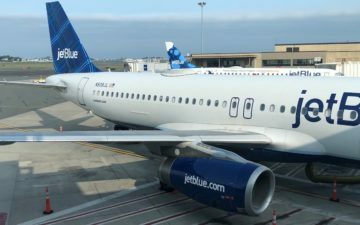 The pax returned to their seat to find an FA, complained to the FAs in the jumpseat, and was told by the pilot via the FAs to sit on the toilet.